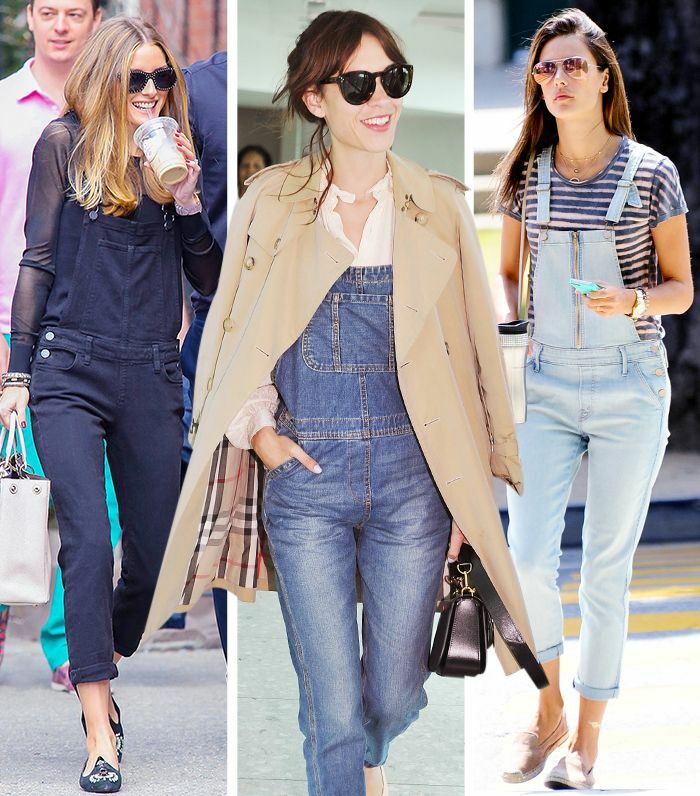 Not sure how to pull off overalls this summer? Let Olivia Palermo and Kate Bosworth show you a trick or two. Scroll through for overall outfit inspiration! For Day: The queen of polished style, Olivia Palermo, paired her overalls with playful flats and sleek sunglasses for a lovely daytime look. For Night: We love how the incredibly cool Kate Bosworth styled her overalls with a simple white t-shirt and chunky black flatform sandals—the perfect casual date night look.